If you're downsizing due to an empty nest, planning a long-distance move, or clearing out a deceased loved one's home, you may be planning to have an estate sale. Considering the percentage professional estate sale companies take, frequently up to 35 percent, you may be wondering if you can do it yourself and pocket more of the proceeds. 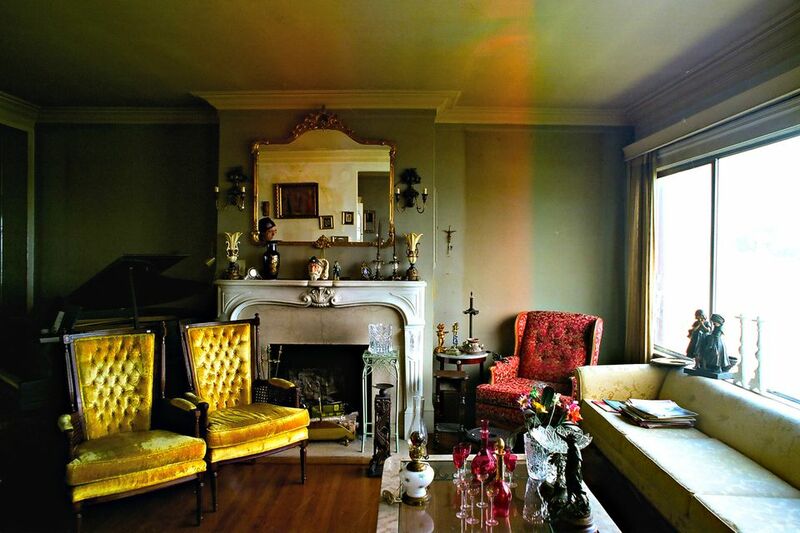 It's a lot of work, but you absolutely can hold an estate sale without hiring a pro. Planning an estate sale takes much longer than you expect it will, especially if it's your first time. Give yourself at least a month if that's possible, or as long as you can if it's not. When choosing a date for the sale, make sure it works for everyone if you're counting on for volunteer help; you can't run the sale alone. If you plan to hire workers, you'll need to leave enough time to accommodate their schedules, too. Give yourself plenty of time to sort through the merchandise. Even if it's your own, you'll have to go through every attic, closet, storage shed, basement, cupboard, and drawer. If you're holding the sale due to a death, be sure to keep private letters, medical records, and financial paperwork separated from the goods you're going to sell. You'll likely want to remove family photographs and memorabilia as well. Make sure the family members and/or heirs have ​the first pick of any objects they'd like to keep, even if the terms of probate mean they'll have to purchase those things from the estate. When you're choosing objects you'd like to keep for yourself, remember that objects are not the same as memories. Otherwise, you may end up hoarding it all. At the same time, don't sell any object you think you're likely to mourn. You can always dispose of it later if you change your mind, but you'll never get it back once somebody buys it and drives away. Research is the key to pricing goods for an estate sale. Some of the things you think will bring a lot of money won't—and some things you might not even plan to include may be the very first things to sell. If you have valuable antiques or collectibles to sell, consider hiring a professional appraiser to help you set a price. Depending on what they're worth, selling those specific things at auction may be a better way to go. For the rest of the merchandise, whether it's newish, vintage, antique, or just used, hit the library and look at some price guides, or sign up for an online subscription. You can also find out what people are paying for similar things to yours by doing completed sale searches on sites like eBay, Etsy, 1st Dibs, and Ruby Lane. Remember, you're looking to see what people have already paid, not at the list prices sellers are currently hoping to get. You have to advertise your estate sale in numerous ways to maximize the number of shoppers who attend. Place classified listings on Craigslist (include photos) and in the newspaper. Put the newspaper listing in the garage sale section if there's no designated area for estate sales. If you're holding the sale in a small town near a city, advertise the event in the papers from both places—and consider purchasing a larger display ad that draws the eye and gives you more room to the details and goods. You can also advertise your estate sale on social media sites such as Facebook. In addition to your own page, join the online garage sale sites in the estate sale's area. If the rules allow it, post about your event there too. With all Facebook listings, include an album containing photos of your best merchandise. Finally, list your event on designated estate sale sites, such as EstateSales.net and EstateSales.org. Both permit non-pro estate sale organizers to list their sales, and both let you include lots of photos. When possible, display estate sale merchandise in the room where it's commonly used. Take folded clothes, bed sheets, and blankets out of drawers and display the stacks on top of beds and dressers. Display dinnerware, serving pieces, and table linen stacks in the dining room atop the table and sideboard. Empty the kitchen cabinets and place mixing bowls, pots and pans, utensils, and small appliances on the kitchen table and countertops. Small valuable objects such as jewelry and coin collections are the exceptions. Keep those at the checkout tables near the exit door so they're not as easily stolen. Ideally, rent or borrow locking cases for the event. If that's not possible, keep one worker at the table whose sole job is to watch the goods. Theft is an issue at any sale, and particularly so at estate sales where the merchandise is displayed in numerous rooms. Hire security guards or enlist volunteers to help. Station someone in each area or have them wander frequently from room to room. But, make sure they don't offend honest customers. Instead of letting them loom, instruct them to smile, nod, and say hello to shoppers while they keep watch. Never let shoppers in the door of an estate sale before it's scheduled to start. Keep the doors locked, and place signage to indicate where they should line up until the sale begins. Organizing shoppers into a line also let you limit the number of people in the house at one time, especially during the first hour or so of the sale. That's when the mad snatching typically takes place. Limiting the number of shoppers helps prevent breakage and fights during that time period. And, it helps minimize theft at all times because the thieves are easier to spot.